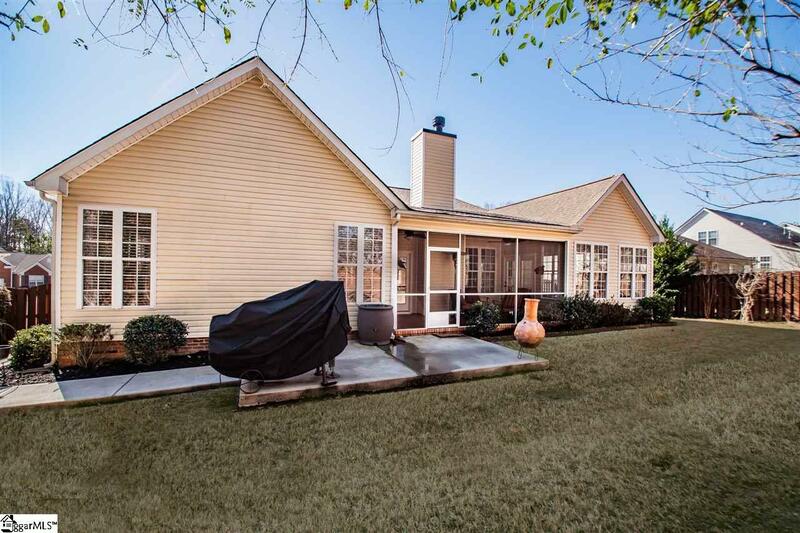 * RANCH HOME WITH BONUS ROOM! 3 bedroom PLUS the bonus room upstairs! * IMMACULATE condition and perfectly maintained! Like new! * New Roof- December 2018! * New HVAC- March 2018! * Freshly painted! * Quiet street, in Culdesac, backs up to trees! 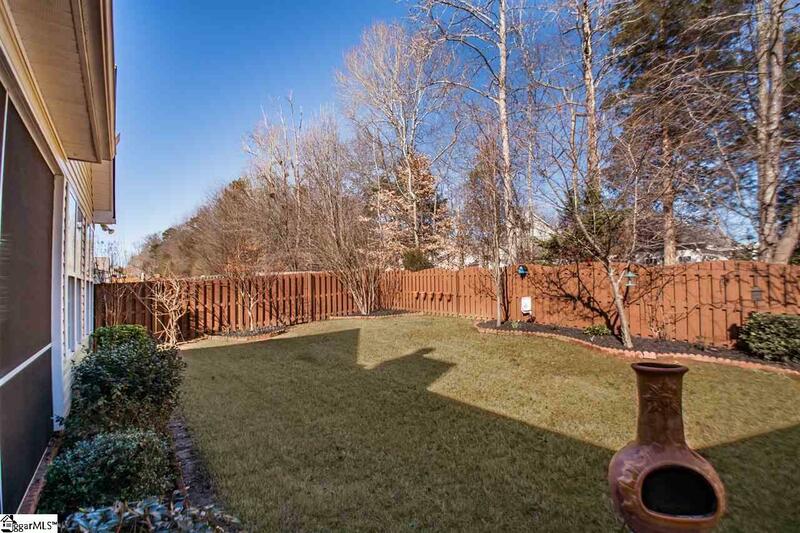 * Private, fenced backyard with fresh landscaping! * Full yard sprinkler system! * Covered back screened porch with dual fans! * Kitchen has stainless steel appliances and granite counter tops! 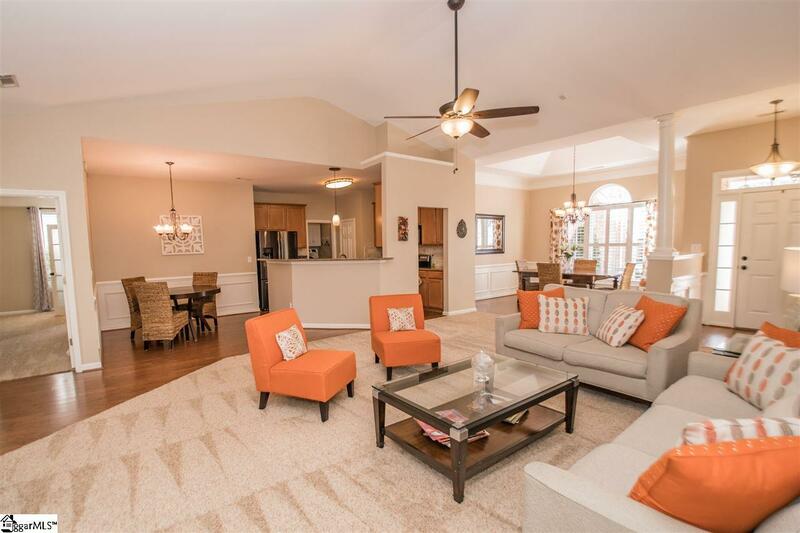 * Master Suite: Spacious, high ceilings, door leading to covered screened porch, on-suite bathroom with dual sinks, granite counters, soaker tub, separate shower, beautiful upgraded flooring, private toilet room, large walk in closet. * Wood burning fireplace with gas starter. * Open Concept * Over-sized sun room perfect for a flex space! 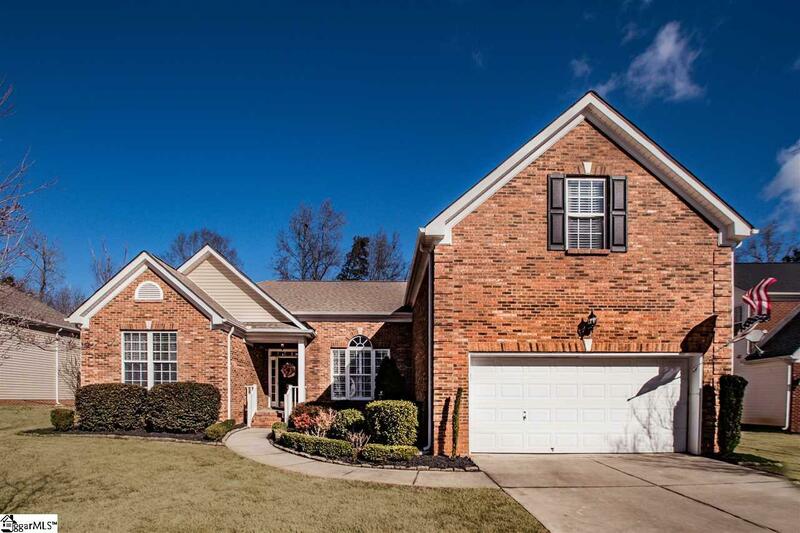 * Plantation shutters in formal dining room * Jack n' Jill bathroom with upgraded flooring that connects two downstairs secondary bedrooms * Laundry room/mudroom off the garage for easy access! *Garage has AMPLE storage space along with a workbench for all your home projects! *Carpet in pristine condition...vacuum lines convey with home! *Remington has a clubhouse, Junior Olympic swimming pool, baby pool, exercise facility, and playground! *Easy access to 385/85, Fairview Road for all your every day needs, and just a short drive to Downtown Greenville!